The beach-front destination of Pacifica will be hosting its 30th Annual “Pacific Coast Fog Fest” event on Saturday and Sunday, September 26 and 27, 2015 from 10:00 a.m. – 6:00 p.m. along Palmetto Avenue in Pacifica. The celebration kicks off on Saturday morning at 10 a.m. with the Discover Pacifica Parade and Marching Band Competition. There will be three stages of live music & entertainment, plenty of festival food to satisfy any taste, over 200 arts & crafts booths and several other family-friendly activities. In addition, Fog Fest will be the temporary home of the 50 Tour: ”Champions of the Bay,” Presented by Chevron, which is the Super Bowl 50 Host Committee’s mobile exhibit designed to celebrate the SF Bay Area’s place in Super Bowl history. The 50 Tour will feature the eight Lombardi Trophies and photo montages from the SF 49ers and Oakland Raiders’ championship wins, the Chevron STEM Zone and the NFL Play 60 Everywhere, an experience designed to encourage youth to be active 60 minutes, every day. Admission is free. For more information, visit http://www.pacificcoastfogfest.com. Tour offers nine nights in Italy’s most popular cities. You can even spend Thanksgiving in Italy, having tacchino (turkey) for dinner. Okay, it’s in 3-star hotels, but 3-star hotels in Italy, while not luxurious, are perfectly comfortable, are in safe neighborhoods, have private baths and provide good breakfasts. The land-only package, which is valid from November 1 to December 20, includes three nights’ accommodation in Rome in the Hotel Buenos Aires, three nights in Florence at the Corona d’Italia or Porta Faenza Alba, three nights in Venice at the Malibran or Santa Chiara, daily breakfast, high speed train tickets, free pizza and gelato in Rome, free pizza and gelato in Florence, and a tour of Murano in Venice. For this price there’s only one included sightseeing tour, but seeing the sights is easy enough with a good guidebook in hand. You’ll want to see the Roman Forum, the Colosseum, the Trevi Fountain, St. Peter’s and the Vatican Museum, and window-shop on Via Condotti and surrounding streets before indulging in your free pizza at Strega Restaurant. In Florence the highlights include the Duomo and Baptistry, the Accademia (Michelangelo’s David) and the Uffizi Gallery and, having saved money on the package, you can afford to shop for jewelry on the Ponte Vecchio. Then enjoy your free pizza at La Mangiatoia and gelato at the famous Vivoli. In Venice you’ll want to just wander the streets of this fairytale city, take a vaporetto down the Grand Canal, visit the Ducal Palace and St. Mark’s Basilica before having a coffee in St. Mark’s Square to marvel at the architecture and listen to the schmaltzy music. A tour of Murano’s glass-making factories is included. Note that the package does not include air fare or local hotel taxes. All prices are per person, double occupancy and are subject to availability. For additional information about this three-city package and other shorter and longer (even some luxury) fall and winter packages to Italy, log onto www.tourcrafters.it and then click “Deal of the Week.” For reservations, call TourCrafters toll-free at 1-800-ITALY95. Located just 15 minutes from San Francisco, the beautiful beach-front town of Pacifica is the perfect destination for a quick three-day getaway. For the best values, visitors are advised to opt for a mid-week visit, during the busy summer months. Otherwise, the fall is a lovely, quieter time to get lost in all that Pacifica has to offer for a weekend away. While there are so many attractions and things to do in Pacifica, it’s important to build in plenty of quiet time to unplug, relax and rejuvenate. 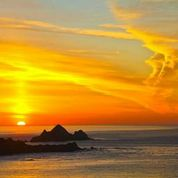 So, take it easy and understand that this list of suggestions for three perfect days in Pacifica is merely a summary of some of the visitors’ favorite pastimes. 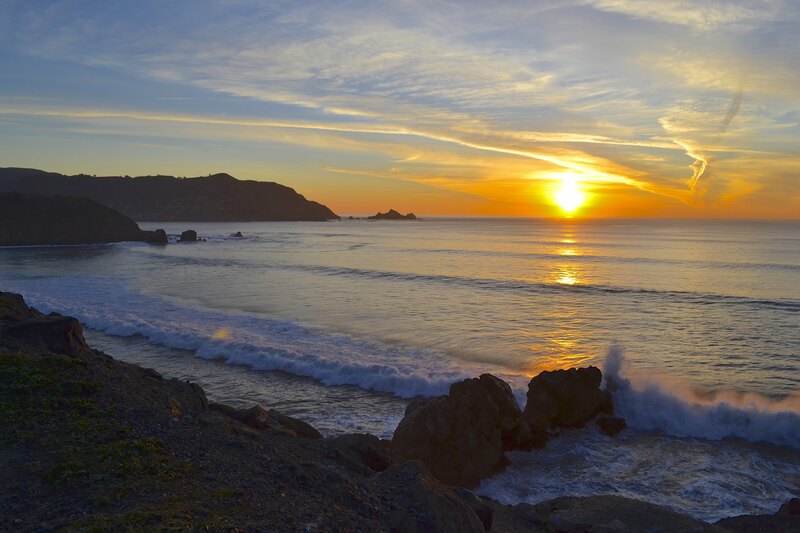 Whether staying for the day or extended visit, Pacifica is the perfect mini-vacation destination. Check into one of six hotels, there’s something for everyone’s taste and budget (please see hotel reference guide below). Enjoy lunch at Nick’s and be sure to order the signature grilled crab sandwiches or one of the hand-cut steaks. Take a guided Silicon Segway tour around the town and along the ocean bluffs to get your bearings and background of the area. To rejuvenate, take a brief power nap or leisurely walk along Rockaway Beach. Have a pre-dinner glass of wine, complemented by live music at A Grape in the Fog. Book a table with a spectacular, panoramic view for the sunset and dinner at Moonraker Restaurant, Pacifica’s beachfront dining establishment. First thing in the morning, head out to the Pacifica Pier with fishing gear, crab trap, tackle and bait, which are all available for rent at Coastside Bait & Tackle. They also provide instruction about set-up needs to catch fish and crab (in season). As a public pier, a fishing license isn’t required. For a hearty breakfast, check out the menu at Ash’s Vallemar Station, which features large portions of the best, freshest fare. Hike/walk the gentle path of the new Devils Slide Trail. Interpretive signage and stunning views of the Pacific are the focus. Once back from Devil’s Slide Trail, stop off at the Devil’s Slide Taproom in the Pedro Point Shopping Center, which offers 32 beers on tap along with some great pub grub. The afternoon beckons for a short nap on the beach or just sit and gaze out upon the ocean where several whale sightings have been spotted – maybe you’ll get lucky and not only see the whales spouting but see porpoises and dolphins playing just off shore as well. For dinner, head to Puerto 27 Peruvian Kitchen and Pisco Bar and be sure to sample a variety of menu items, tapas style. Check out who’s performing in town at pacificaperformances.org. The Mildred Owen Concert Hall features everything from opera and tango to blues and folk. Another favorite entertainment spot in Pacifica is the local theatre group, which offers year-round performing arts that include revivals of favorite plays and musicals as well as some contemporary productions. For show dates and time, go to http://www.pacificaspindriftplayers.org. Enjoy breakfast at the Salada Beach Café where choices range from healthy to homey. Sweeney Ridge, a “hike for the more experienced hiker…from the ridge top, in 1769, a scouting party led by Gaspar de Portola became the first Europeans to see San Francisco Bay. A monument marks the approximate location. Where ever you end up walking or hiking, be sure to lunch “al fresco” at the Surf Spot and enjoy fresh seafood dishes and salads. On weekends, the Surf Spot offers a line-up of great bands that entertain the crowds in their vast outdoor seating area. Then, as the getaway winds down, take a pick from the several adventure options…bowling at Sea Bowl; walking between Rockaway Beach and Linda Mar State Beach; powering up and down some of the most intriguing mountain bike terrain in California; paddle boarding at Linda Mar State Beach; hitting the links at the Alister MacKenzie-designed Sharp Park Golf Course; or surfing the popular beaches of Pacifica (surf lessons are available for those that need a refresher). Pacifica offers six lodging options in the budget to moderate price range and all are within walking distance to Pacifica’s beaches. Four are located at Rockaway Beach. The largest with 97 guest rooms is the Best Western Plus Lighthouse Hotel, a full-service hotel situated on Rockaway Beach with spacious accommodations, beautiful ocean views, a swimming pool and the upscale Moonraker restaurant. The Holiday Inn Express Hotel & Suites Pacifica provides very comfortable accommodations with ocean views and a complimentary hot Express Start Breakfast Bar. Offering a dash of Victorian charm is the pet-friendly Pacifica Motor Inn and adjacent to Nick’s Restaurant is the Sea Breeze Motel, which is very convenient for those looking to dance the night away at Nick’s. Situated across from Linda Mar Beach is another full service hotel called the Pacifica Beach Hotel. Under new ownership, the hotel now includes several remodeled rooms, offering spectacular ocean view rooms, Jacuzzi tubs, indoor swimming pool and the new Peruvian Restaurant, Puerto 27. Further north near Sharp Park is Americas Best Value Inn, which is a short walk from Pacifica Pier and the golf course. 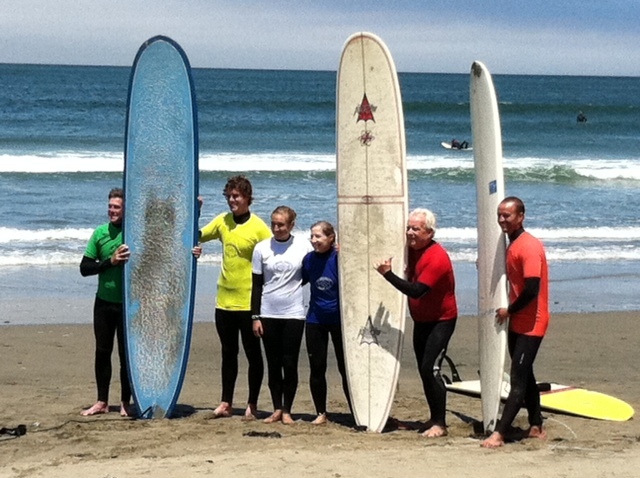 Travel Tip: For more information about Pacifica, log onto VisitPacifica.com. Also highly recommend is the iPacifica mobile app for Apple or Android devices, which provides information on dining, shopping, galleries, lodging, weather and more.